Kucharsky, Danny. "Brian Tobin". The Canadian Encyclopedia, 19 September 2017, Historica Canada. https://www.thecanadianencyclopedia.ca/en/article/brian-vincent-tobin. Accessed 20 April 2019. Brian Vincent Tobin, PC, OC, politician, businessman, premier of Newfoundland and Labrador 1996-2000 (born 21 October 1954 in Stephenville, NF). Before serving as Newfoundland and Labrador's sixth premier, Tobin became a hero in the province when, as a federal Cabinet minister, he defended the turbot fishery against foreign overfishing. Nicknamed “Captain Canada,” he was also a strong advocate of national unity during Québec's 1995 referendum on sovereignty. Premier Brian Tobin of Newfoundland (courtesy Office of the Premier). Brian Tobin was born 21 October 1954 in Stephenville, Newfoundland. He grew up in a large family, one of five boys and four girls raised by parents Patrick and Florence Tobin. After completing school, Brian studied political science at Memorial University in St. John's. He worked briefly in radio and television with the Newfoundland Broadcasting Company (NBC, now called NTV) before going to work as a political aide to Don Jamieson – a former NBC journalist, Liberal member of Parliament (MP) and Cabinet minister in the government of Prime Minister Pierre Trudeau. Tobin is married to Jodean Smith, with whom he has three children, Heather, Adam and Jack. Tobin ran for the Liberals in the 1980 federal election and became MP for the Newfoundland riding of Humber–Port au Port–St. Barbe. He was re-elected in 1984, 1988 and 1993. As a young MP he made a name for himself after the 1984 election, by joining MPs Sheila Copps and John Nunziata as a member of the Liberal “Rat Pack” – a group of combative, opposition backbenchers. A tenacious debater in the Newfoundland tradition, Tobin became a thorn in the side of Prime Minister Brian Mulroney's huge majority government. Inside the House of Commons, he was an eager and aggressive critic. Outside, there wasn't a journalist's microphone or television camera that he wouldn't speak to, on almost any issue that might raise his profile. With the election of a Liberal government under Prime Minister Jean Chrétien in 1993, Tobin was named to the Cabinet as minister of Fisheries and Oceans. He was handed the difficult job of dealing with the decline of the Atlantic fishery. In 1994, he launched a campaign against what many in Newfoundland saw as overfishing by foreign fleets on the nose and tail of the Grand Banks – two areas outside Canada's exclusive, 200-nautical mile fishing zone. With the support of Chrétien, and the resources of the Department of Fisheries and Oceans, the Coast Guard and the Navy, Tobin embarked on what became known as the “Turbot War,” as Canada pursued Spanish trawlers suspected of illegal turbot fishing practices on the Grand Banks. During the dispute, an armed Canadian fisheries patrol ship fired shots over the bow of a Spanish vessel, and a Spanish trawler was seized. Later, Tobin held a high-profile news conference on the issue of overfishing outside the United Nations headquarters in New York. “We're down now finally to one last, lonely, unloved, unattractive little turbot clinging on by its fingernails to the Grand Banks of Newfoundland,” he famously said. Tobin also campaigned aggressively for the federalist “No” side during the 1995 Québec referendum campaign on sovereignty. He was one of the major organizers of a controversial unity rally for the federalist forces in downtown Montréal that attracted more than 100,000 people. It was held three days before the 30 October referendum, which was won by the slimmest of margins by the federalist side. When Newfoundland and Labrador Liberal Premier Clyde Wells announced his resignation in 1995, Tobin announced he would seek the vacant leadership. 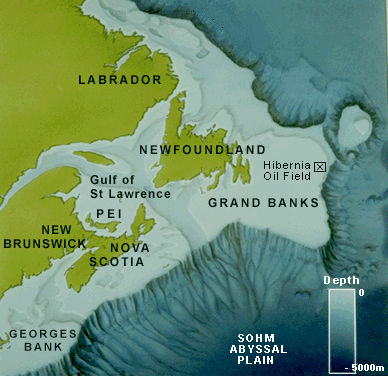 The media speculated the move would boost Tobin's future chances of becoming prime minister, however, Tobin insisted he was more interested in developing Newfoundland's oil and mining industries. He resigned his federal Cabinet post on 7 January 1996, was elected leader of the Newfoundland Liberal Party on the 17th, resigned his House of Commons seat on the 25th and was sworn in as premier on the 26th. 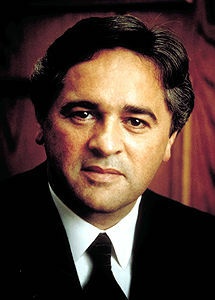 Tobin immediately called an election and campaigned under the slogan “A Better Tomorrow.” He won a majority government on 22 February 1996, capturing 37 of 48 seats. As premier, he cut payroll taxes and stimulated offshore oil development. Tobin’s government also replaced the denominational religious school system with a secular one in 1998, after voters supported the historic change in a province-wide referendum. Tobin's government also announced plans to build The Rooms, a $40-million St. John's complex to house the provincial art gallery, archives and museum. 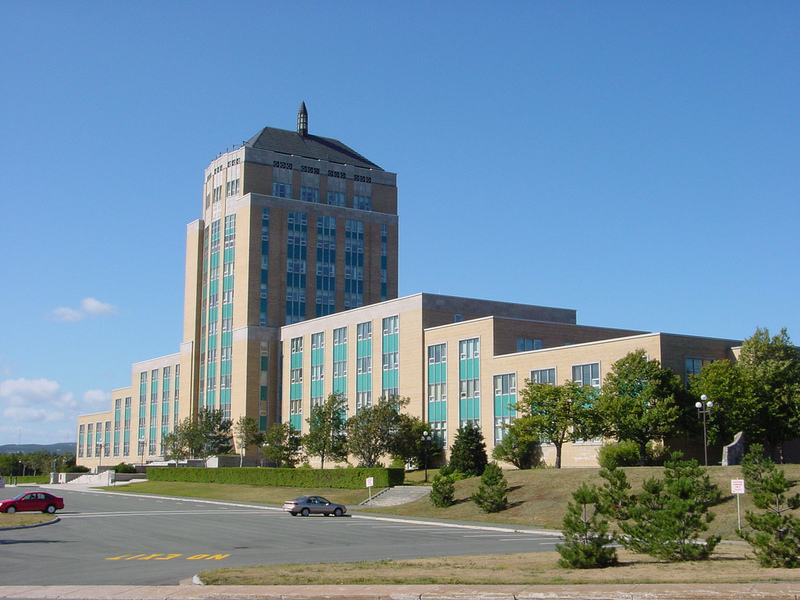 The Confederation Building in St. John's is home to the House of Assembly, Newfoundland and Labrador's provincial legislature. Three years into his mandate, on 18 January, 1999, Tobin announced a general election for 9 February. The election gave the Liberals a second but reduced majority with 32 out of 48 seats. By this time, the provincial economy was beginning to shake off the effects of the recession of the 1990s, thanks to increased revenues from oil production and shellfish harvesting. On 16 October 2000, only 20 months into his second term as premier, Tobin announced he was returning to federal politics. Prime Minister Jean Chrétien named Tobin industry minister on 17 October 2000, and announced a federal election shortly after – in which the still-popular Tobin won his federal riding of Bonavista-Trinity-Conception. Fifteen months later, in January 2002 – amid widespread speculation that then-Finance Minister Paul Martin would replace Chrétien as Liberal leader and prime minister – Tobin announced his departure from the Cabinet, and from politics altogether. He denied any interest in wanting to succeed Chrétien himself. After 22 years in politics, Tobin went to work in the business world. He opened his own consultancy, BVT Associates, in Ottawa. He held senior positions with the Magna group, and was executive chairman, president and CEO of Consolidated Thompson Iron Mines. Tobin has also served on a number of corporate boards including Aecon Group and New Flyer Industries. Also in 2013, Tobin was named an Officer of the Order of Canada. Tobin's post-political life was marked by family trauma. In 2011 his son Jack Tobin pleaded guilty to impaired driving causing death and was sentenced to three years in prison, for his role in the Christmas Eve death of a friend inside a downtown Ottawa parking garage. Jack was released on full parole, a year into his sentence. Brian Tobin, All in Good Time (2003).